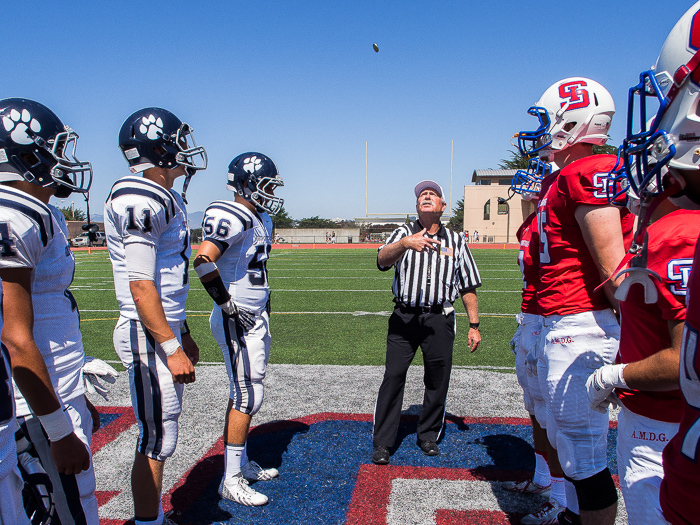 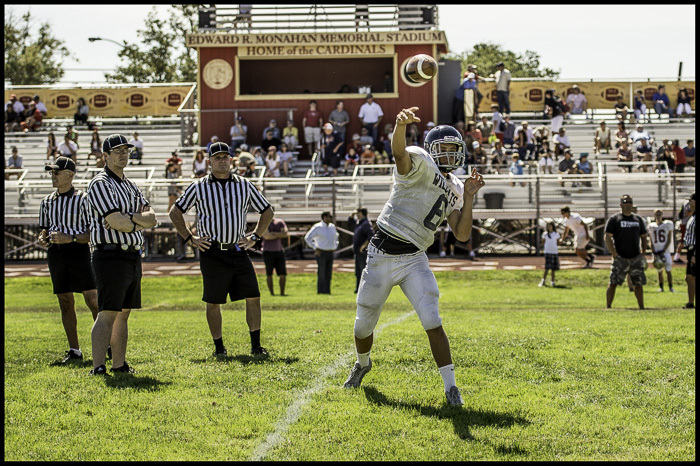 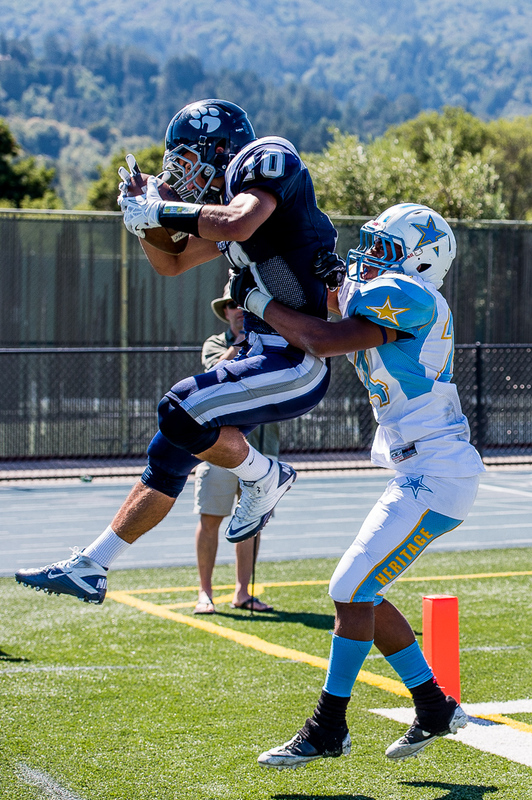 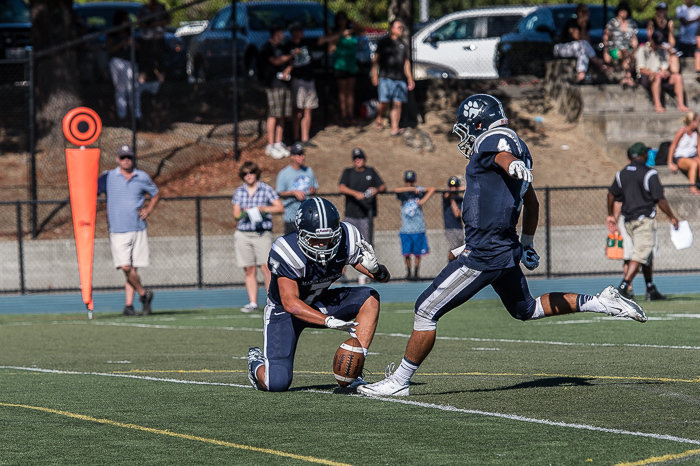 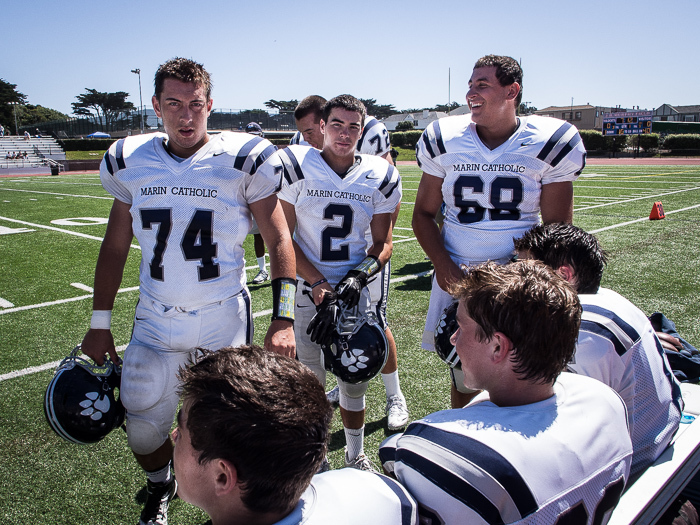 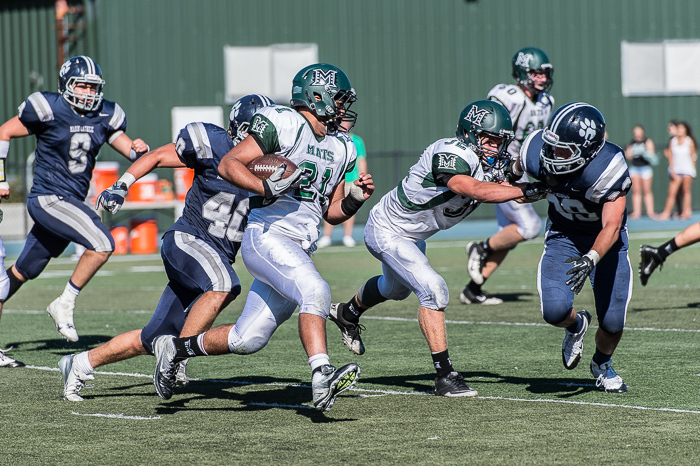 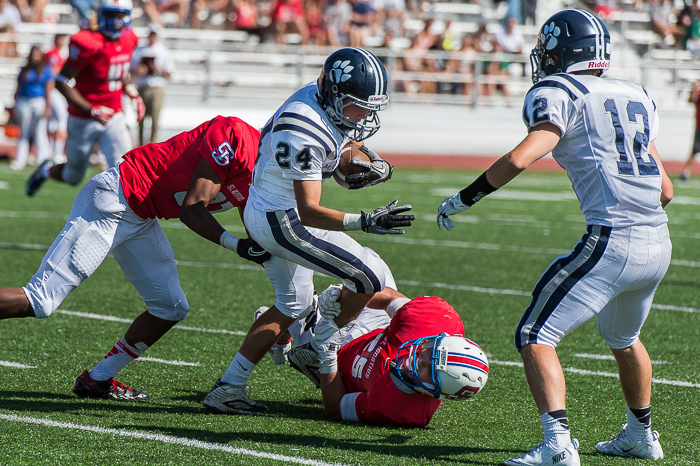 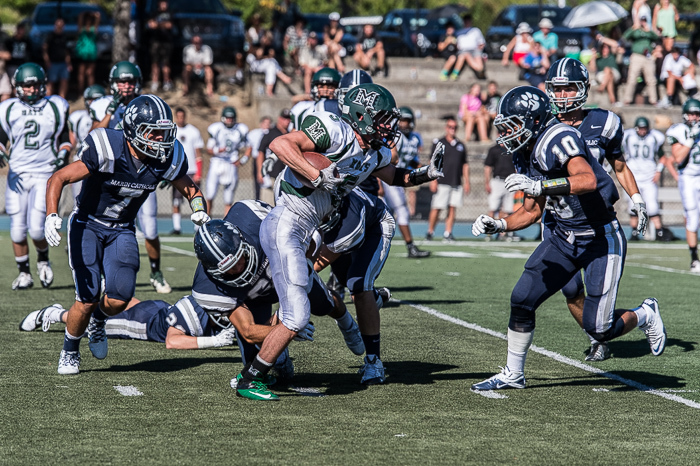 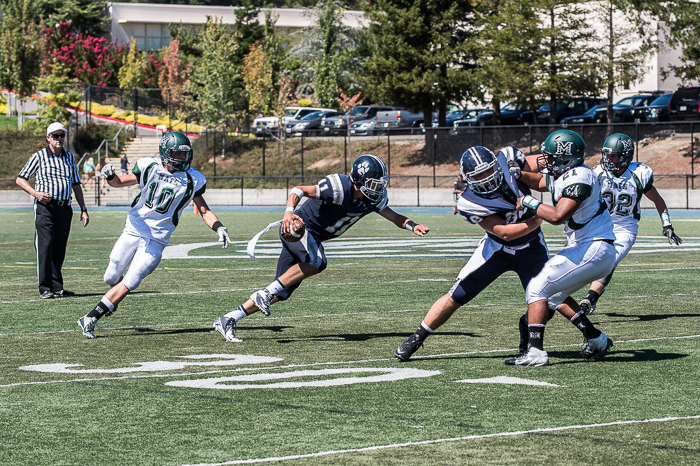 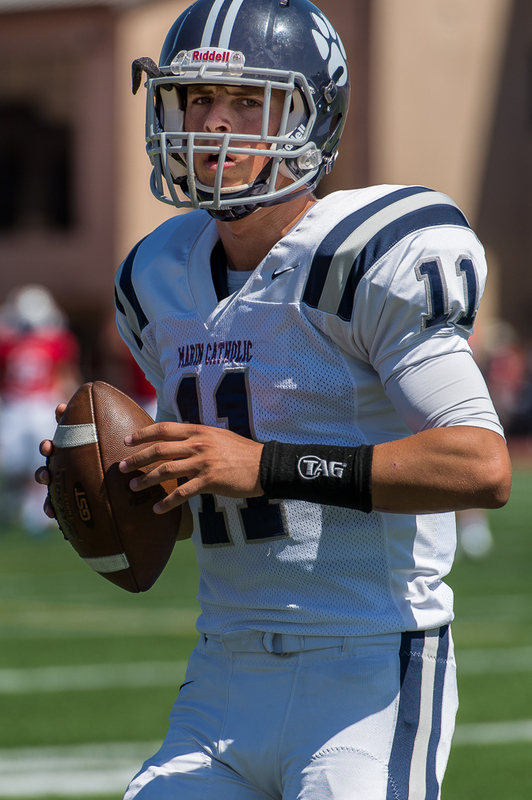 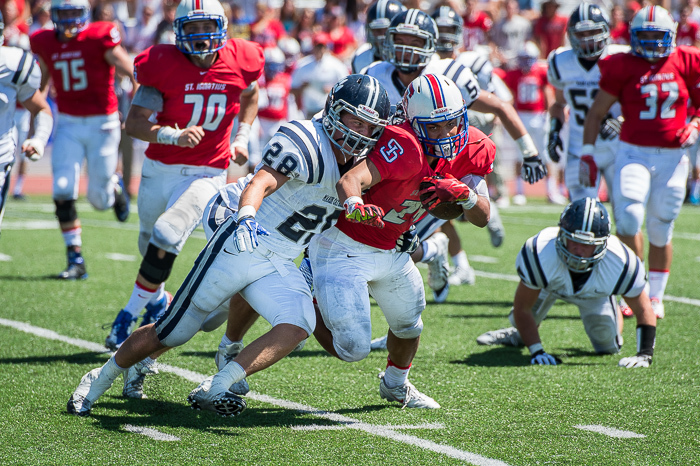 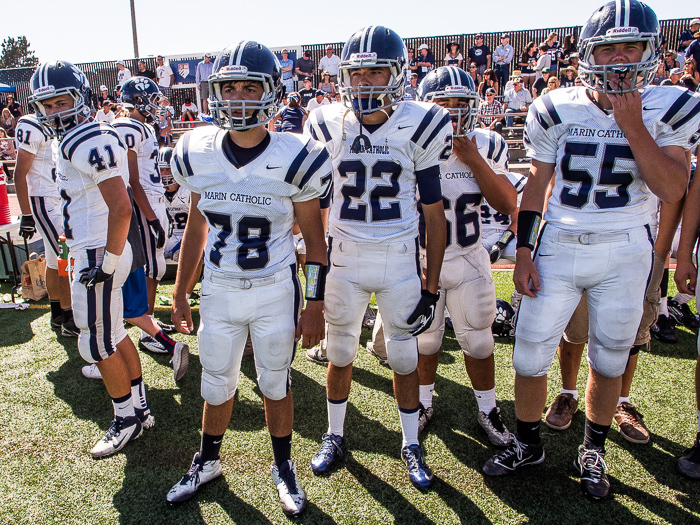 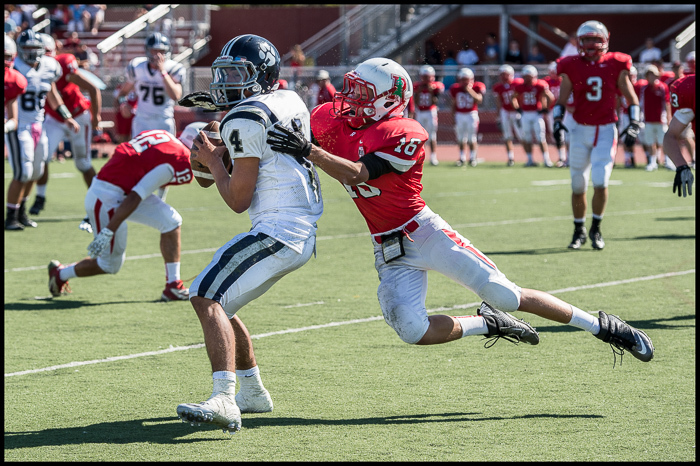 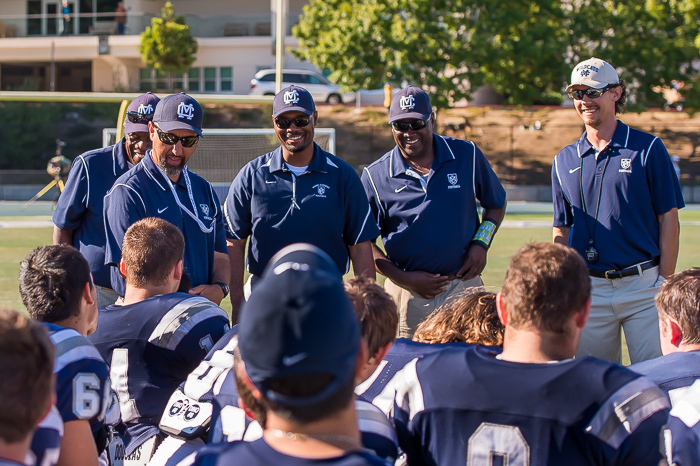 Marin Catholic kicked off its 2013 high school football season Friday with a scrimmage against Cardinal Newman. 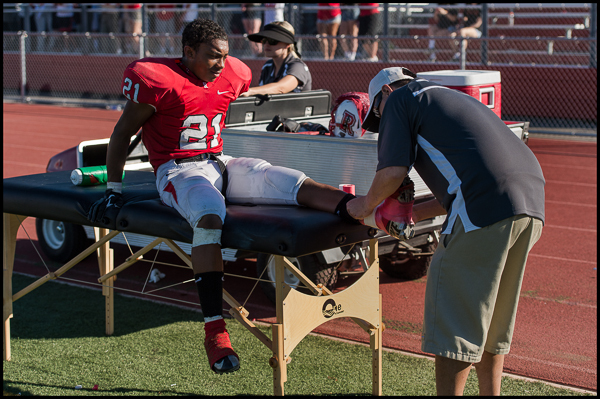 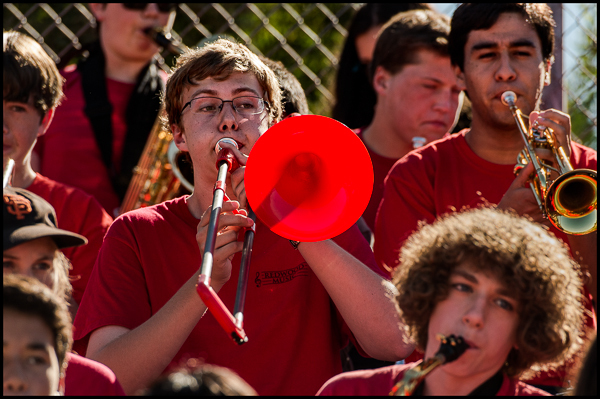 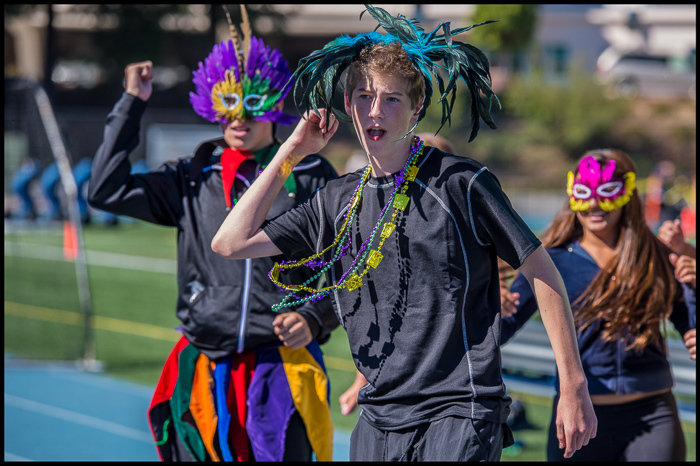 The season warmup took place in Santa Rosa, California, and I was there courtesy of VarsityPix.com. 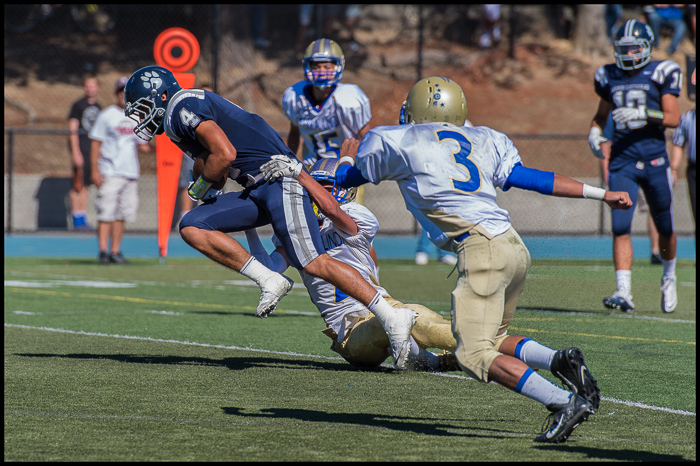 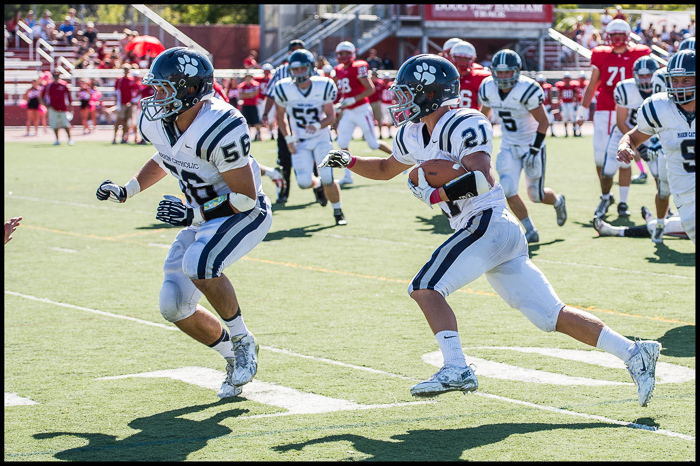 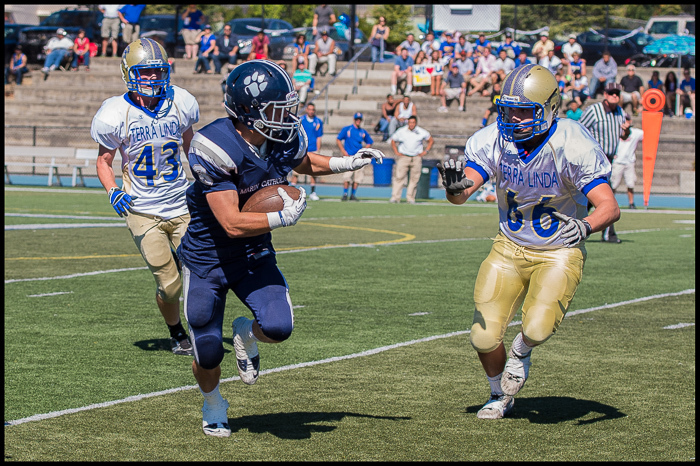 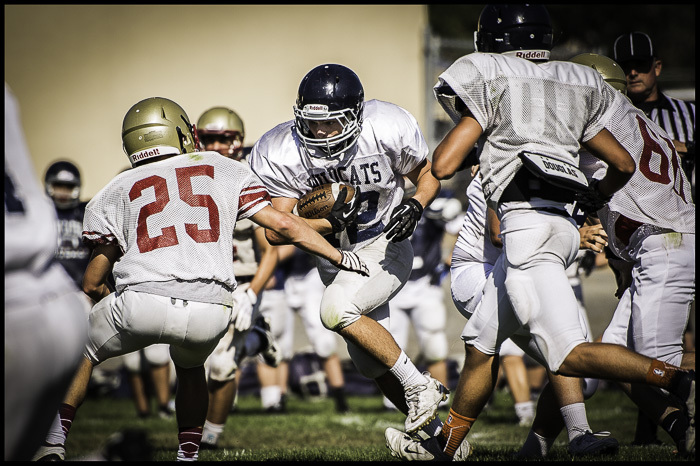 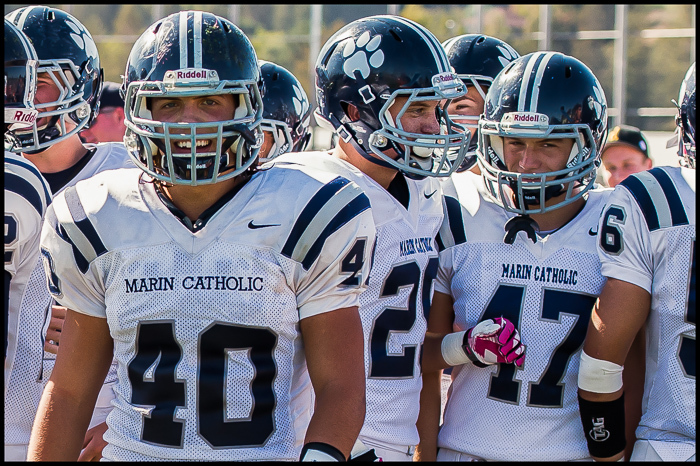 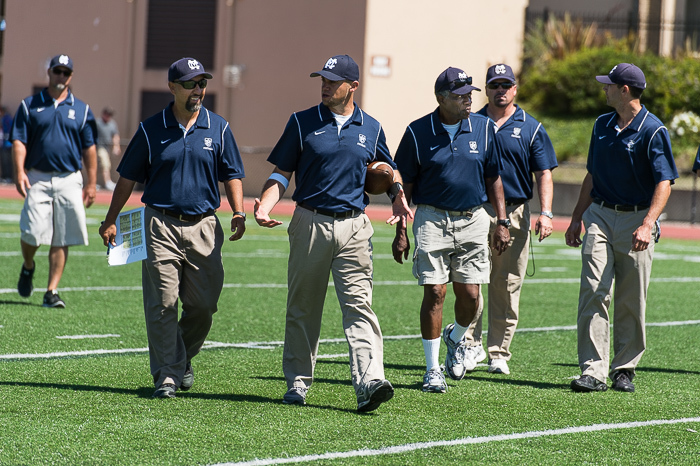 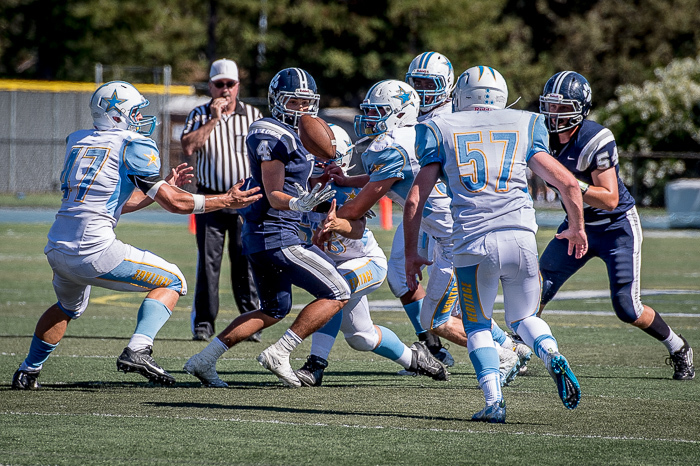 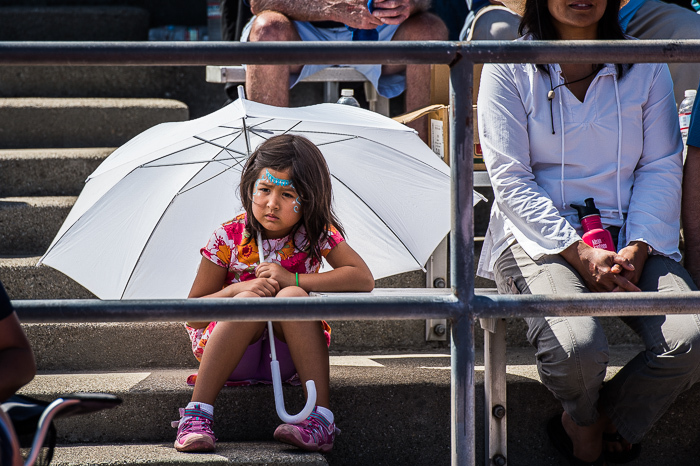 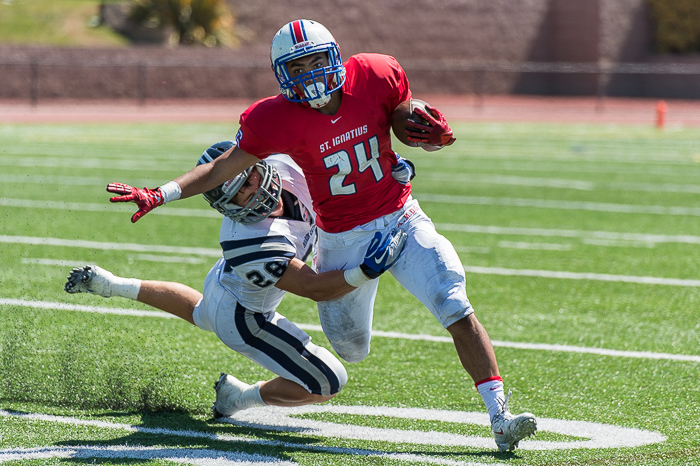 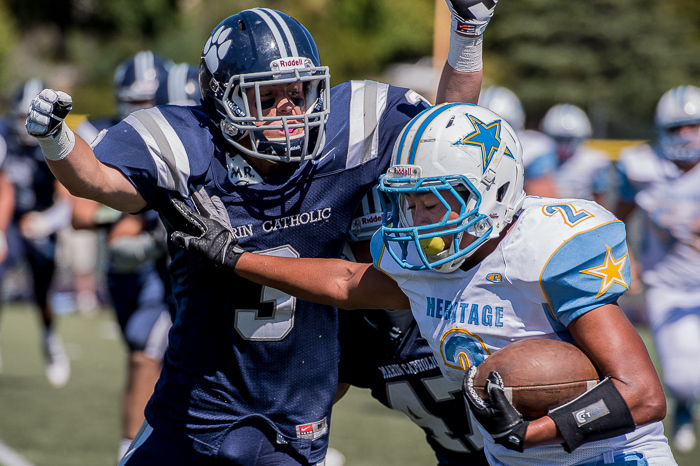 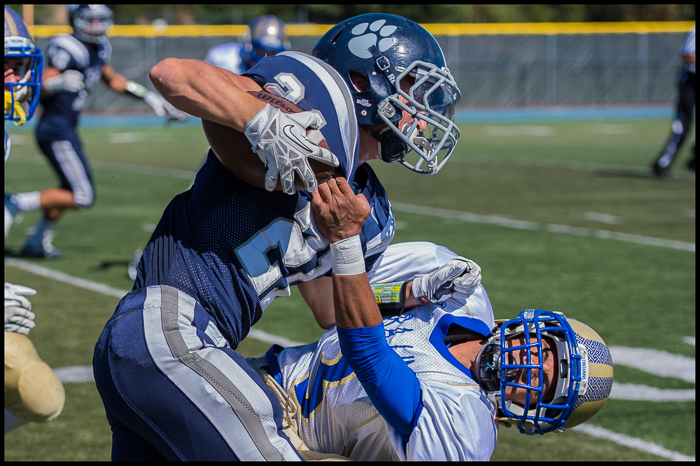 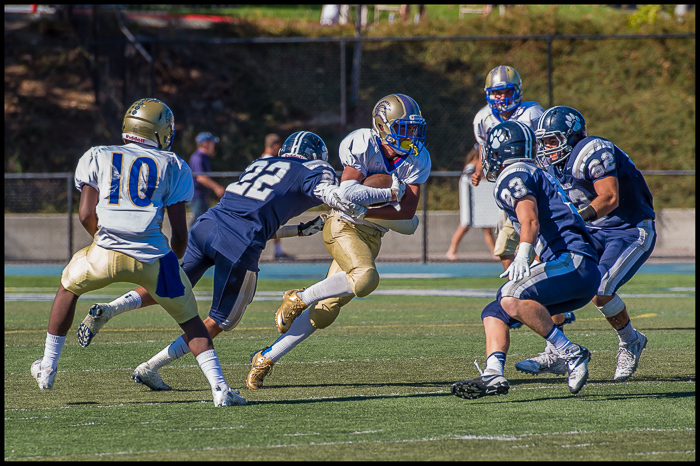 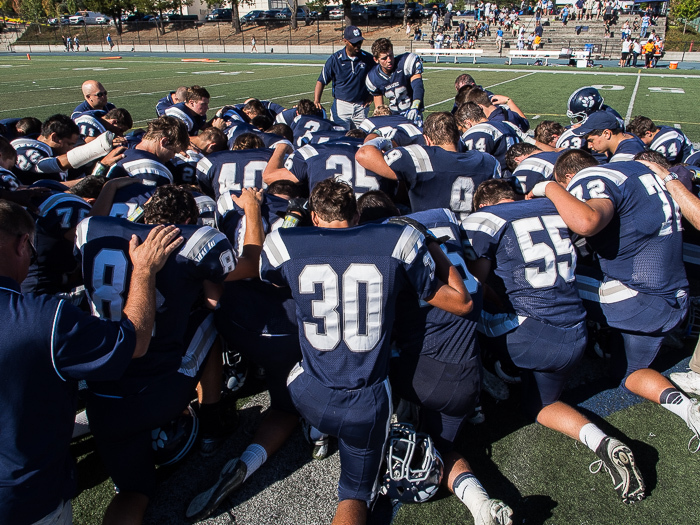 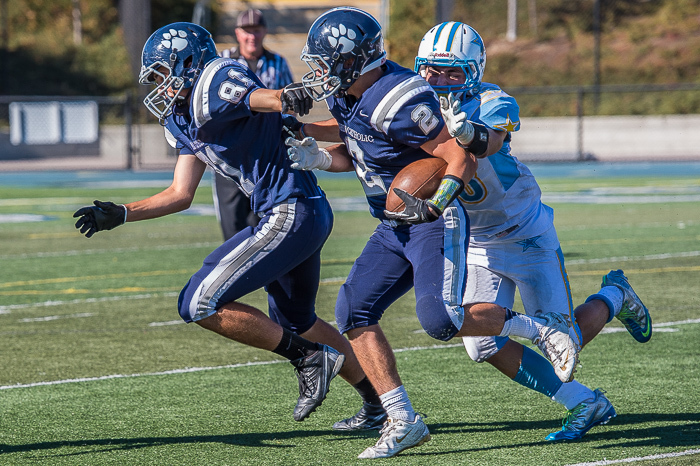 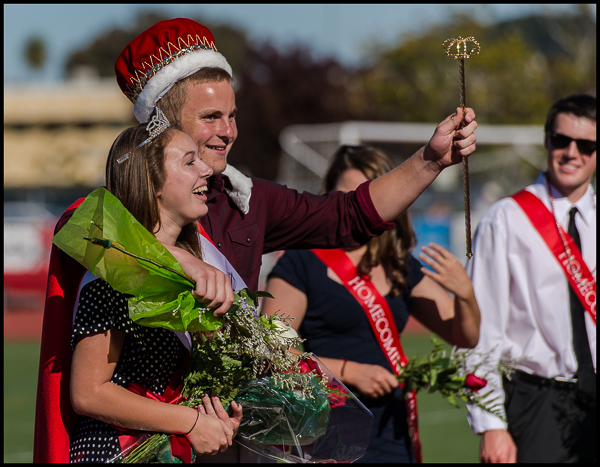 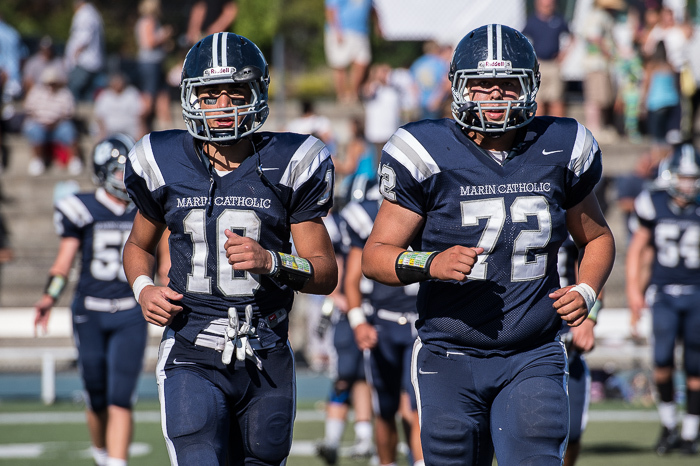 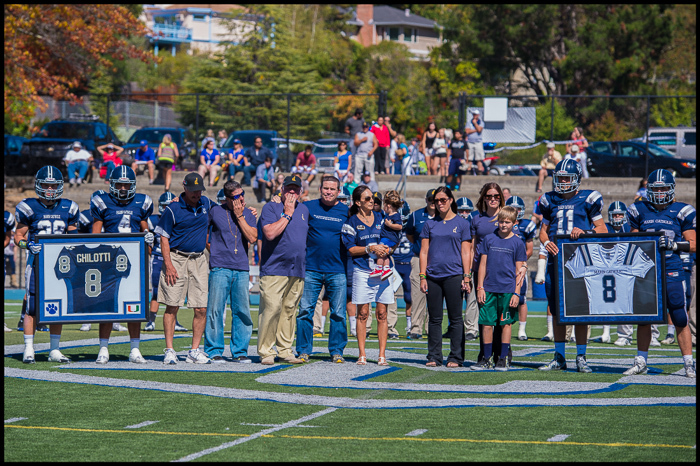 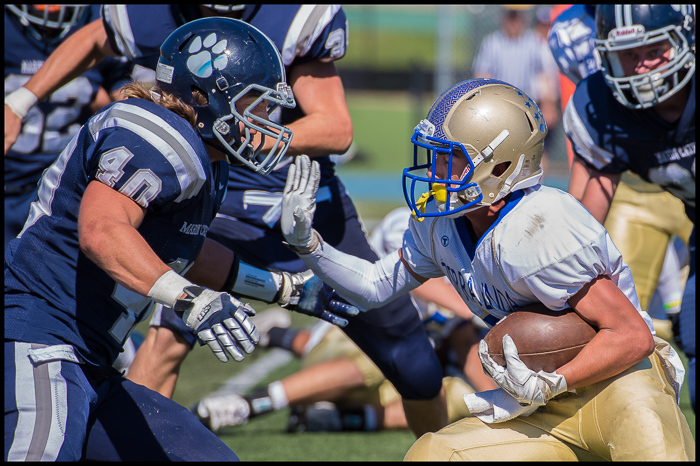 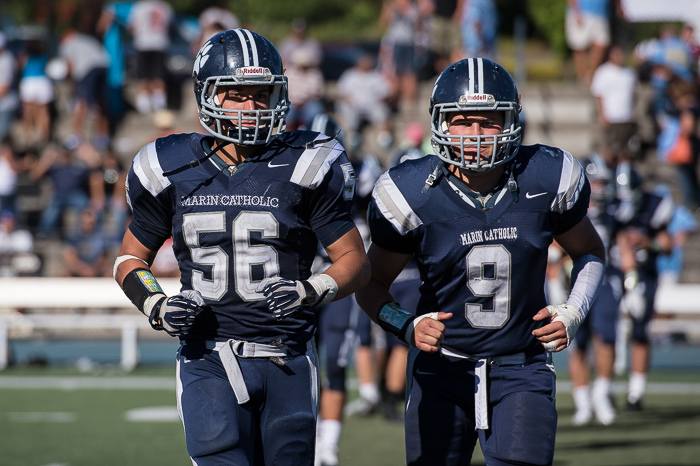 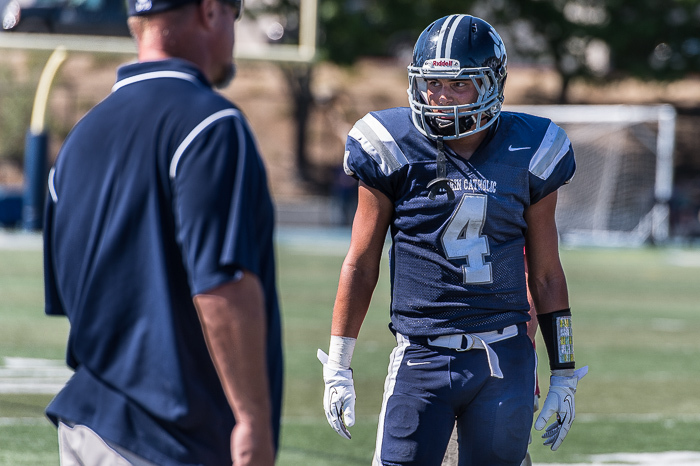 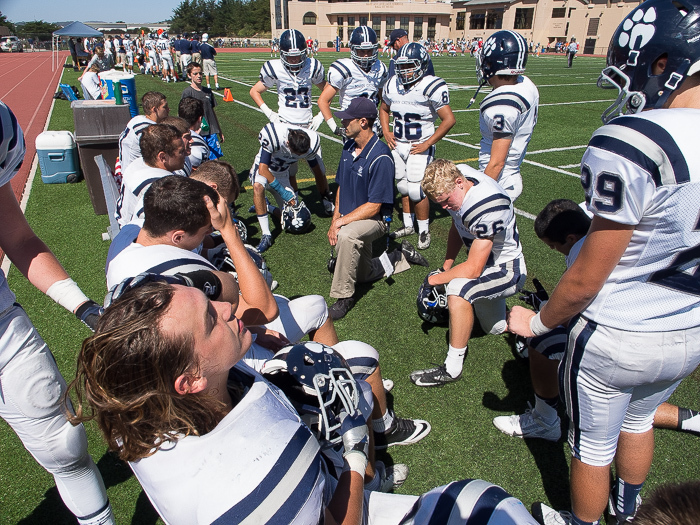 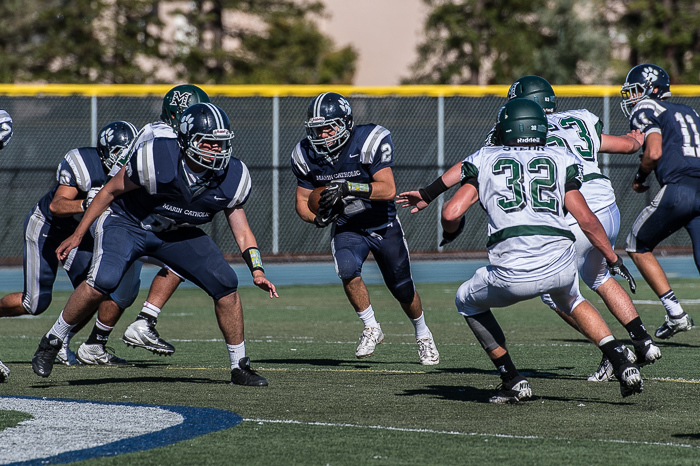 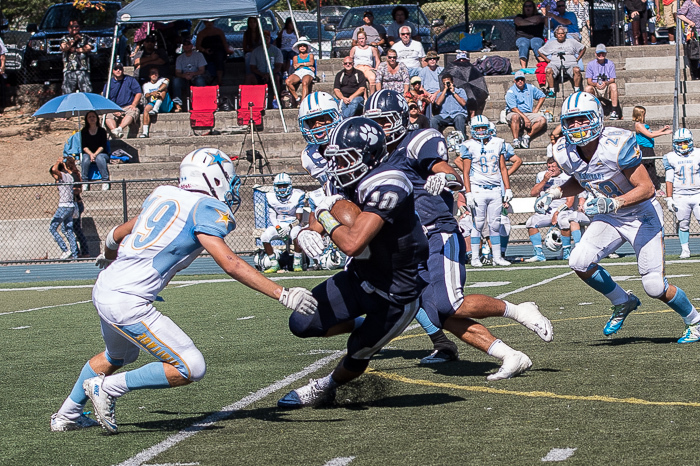 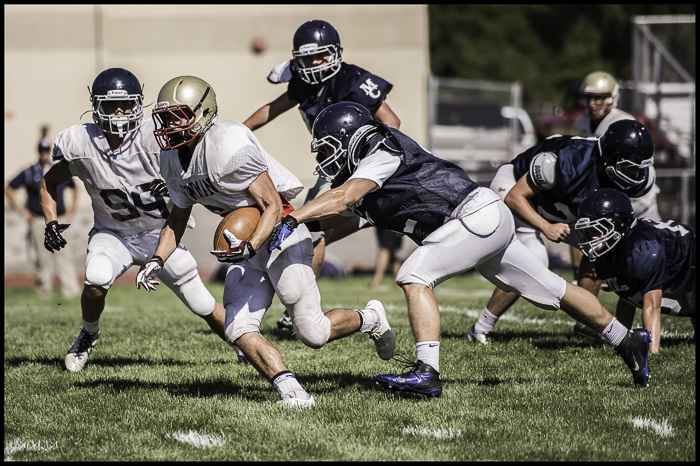 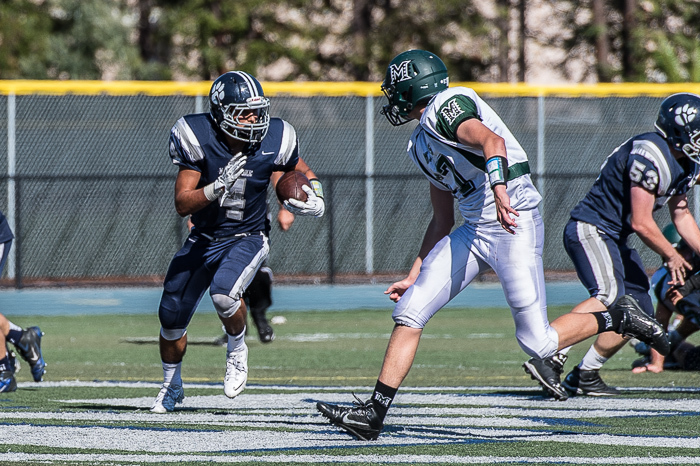 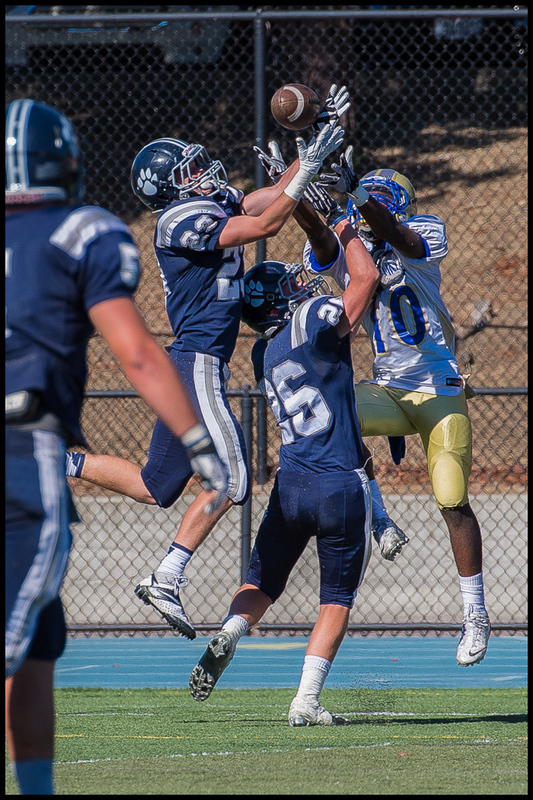 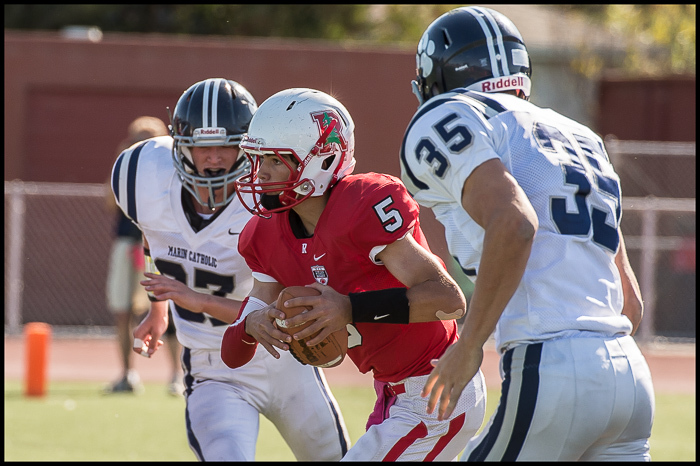 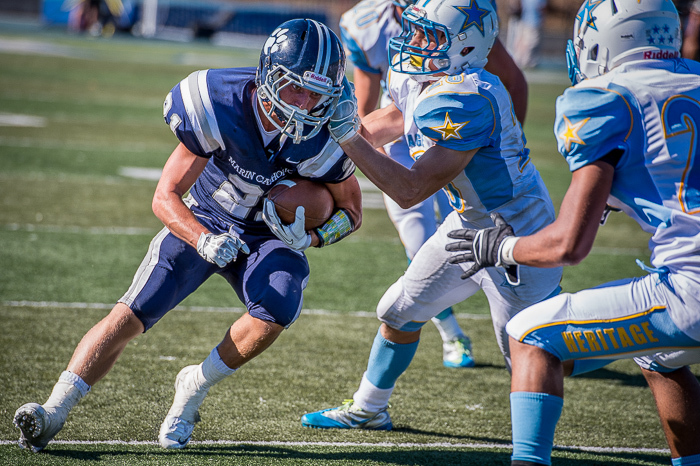 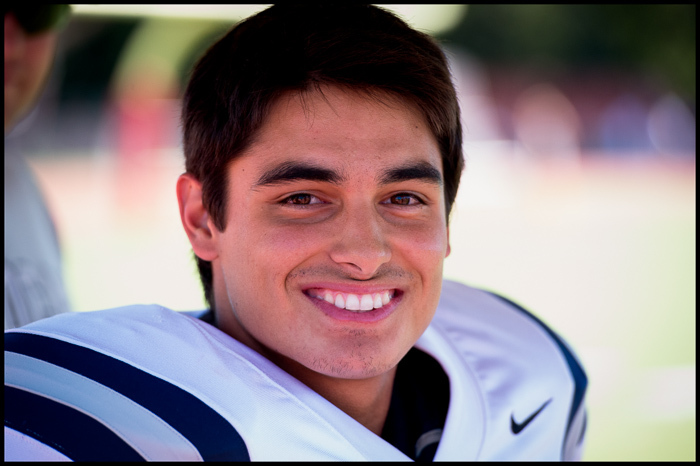 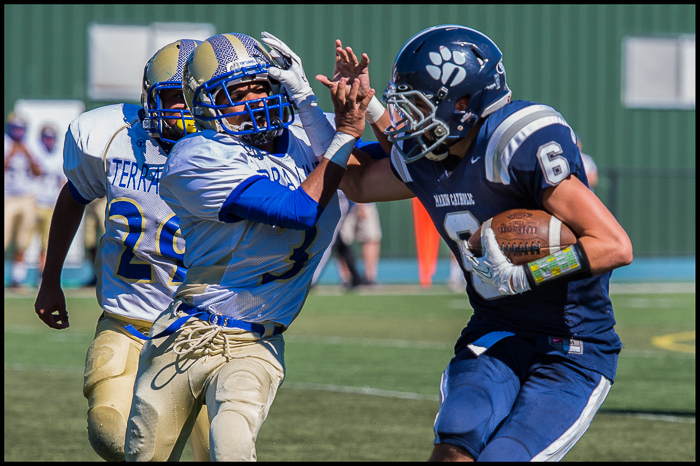 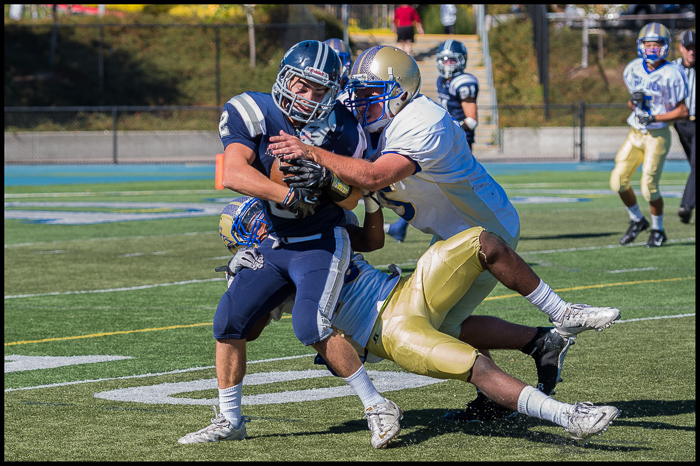 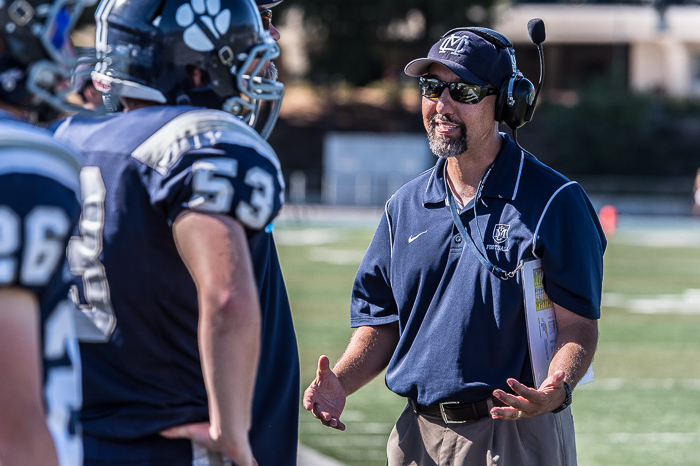 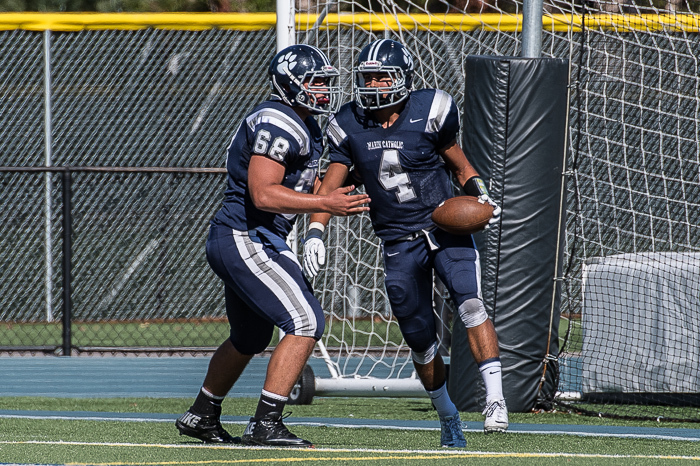 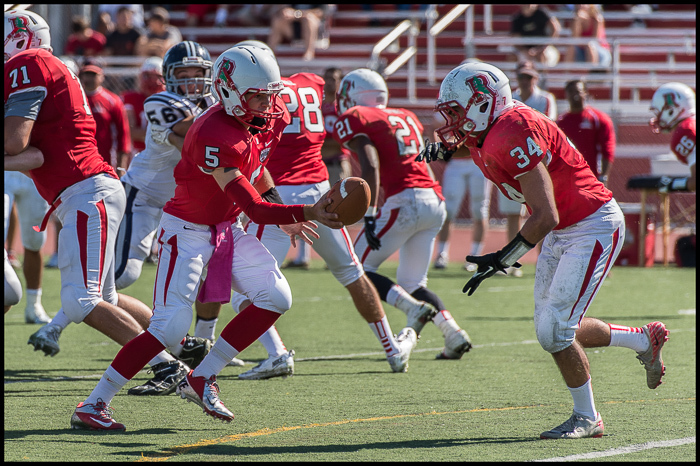 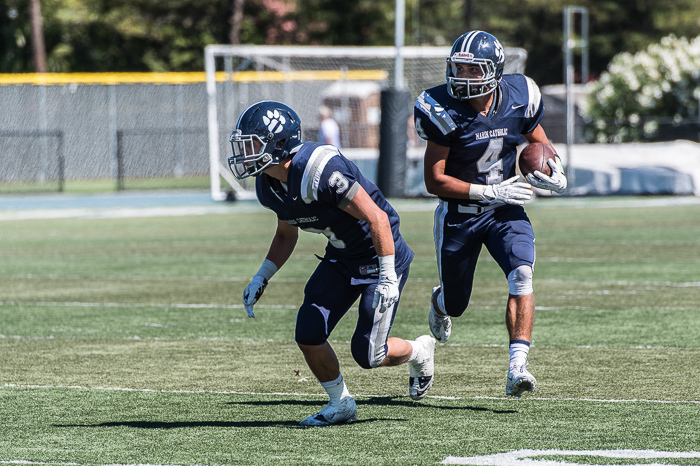 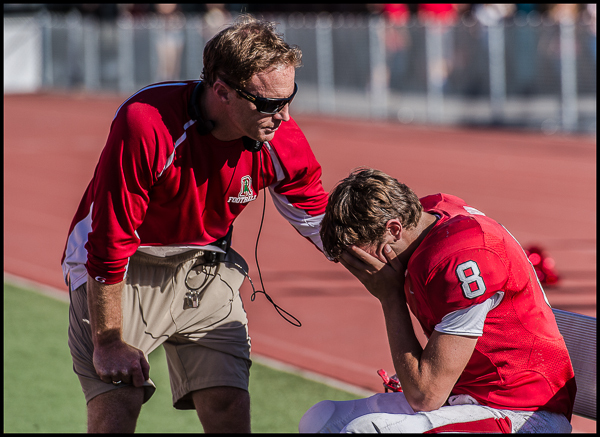 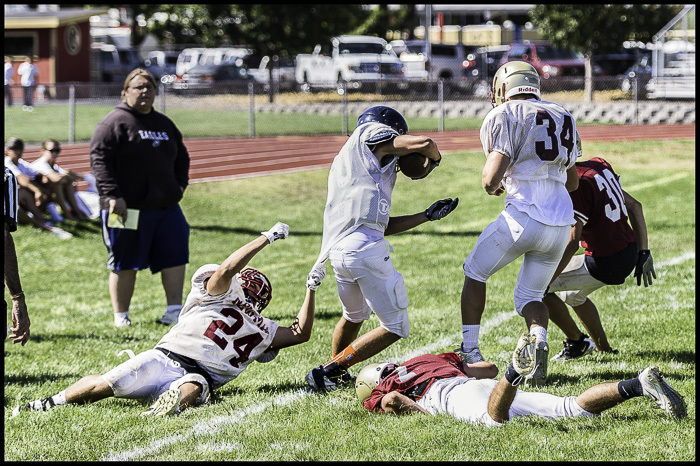 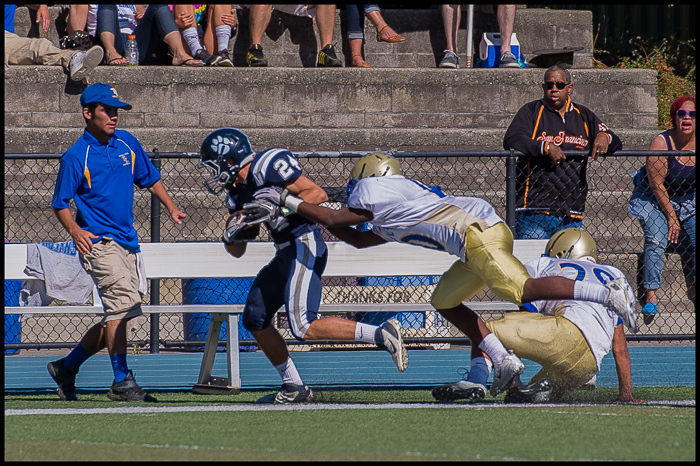 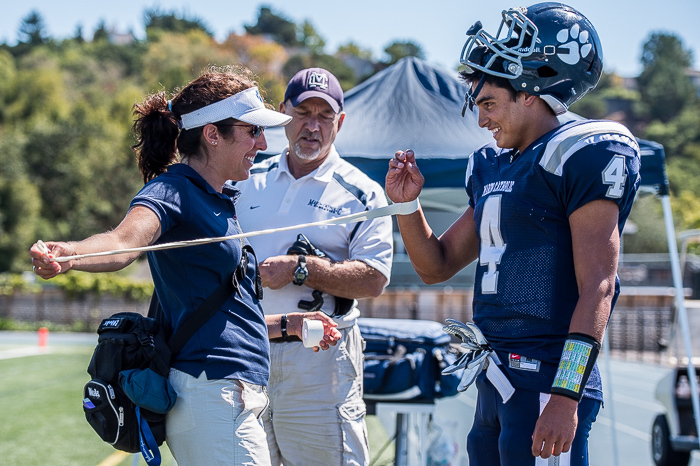 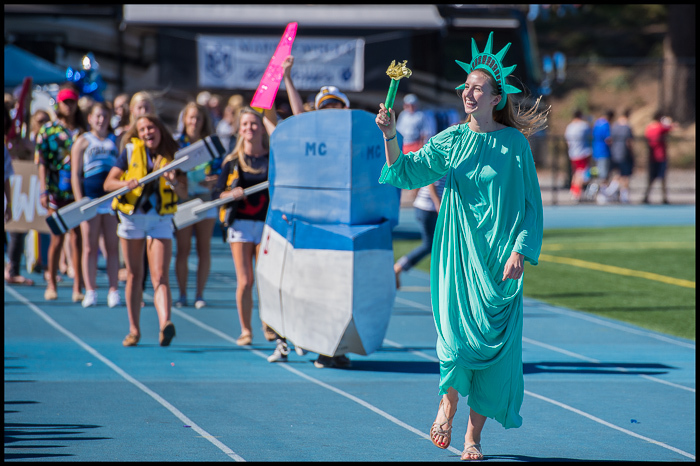 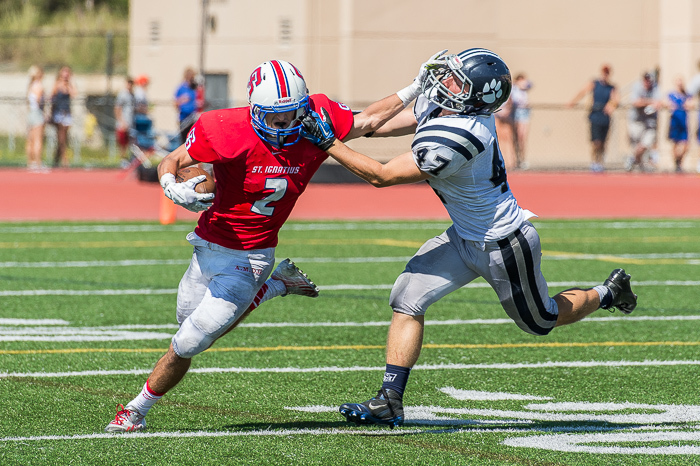 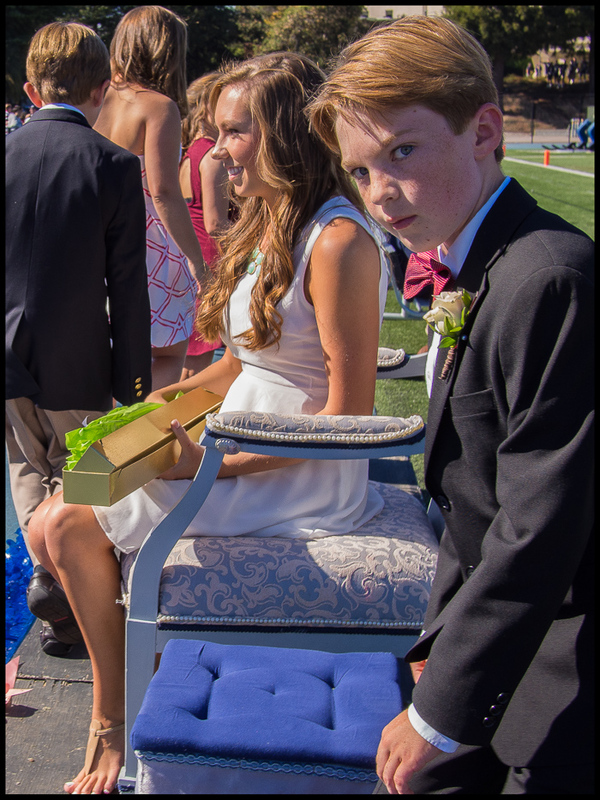 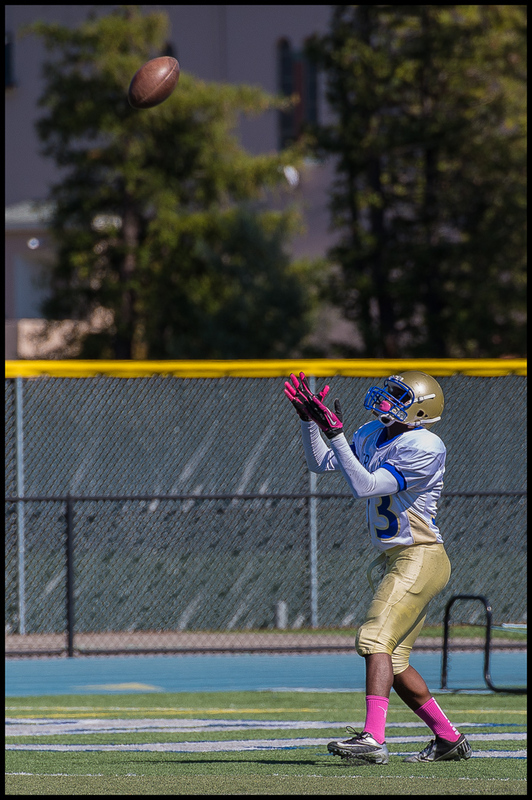 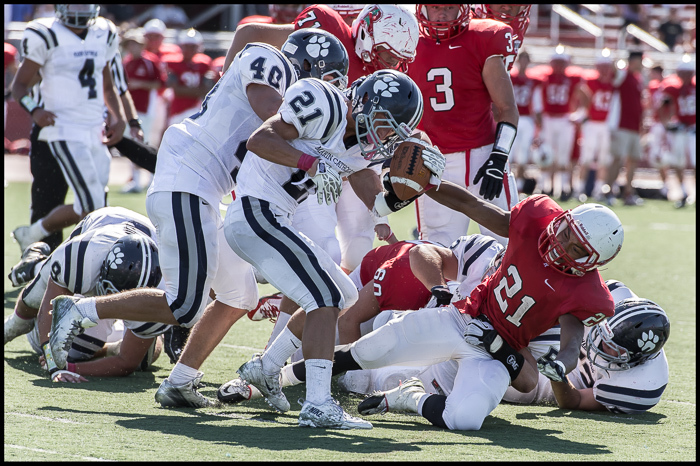 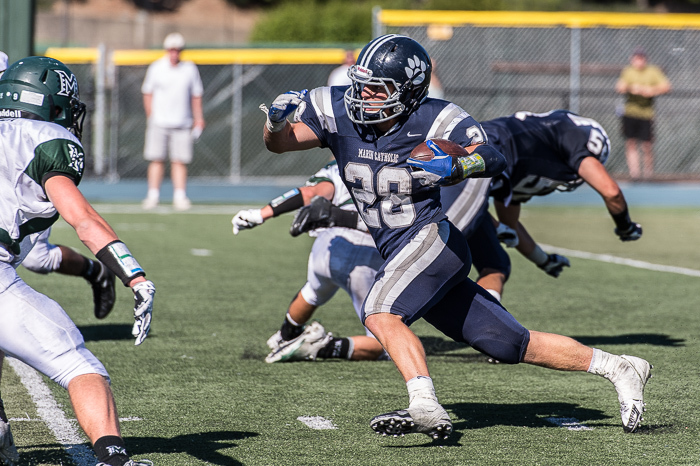 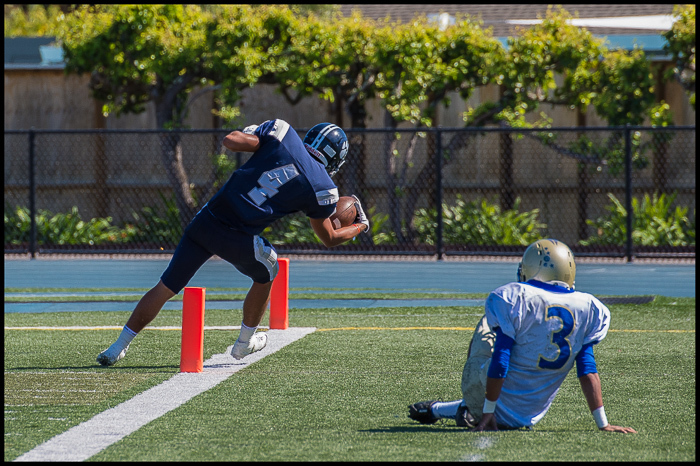 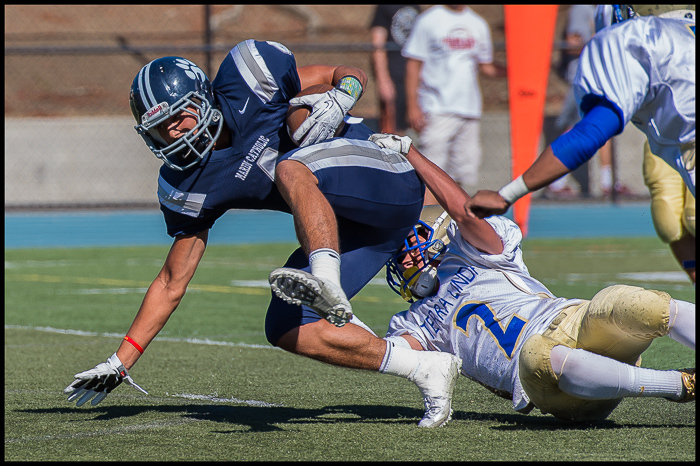 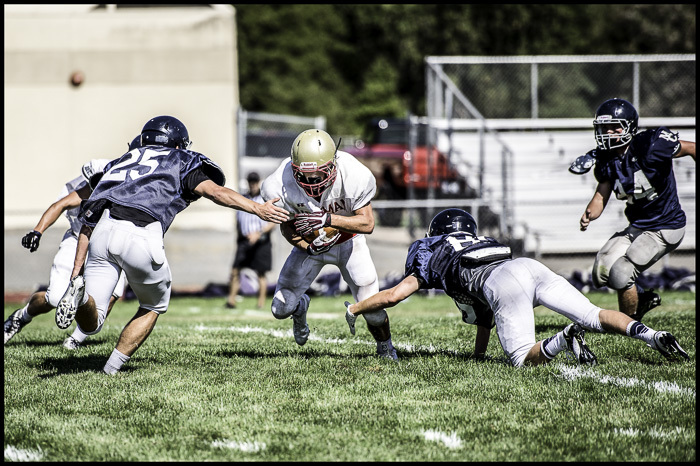 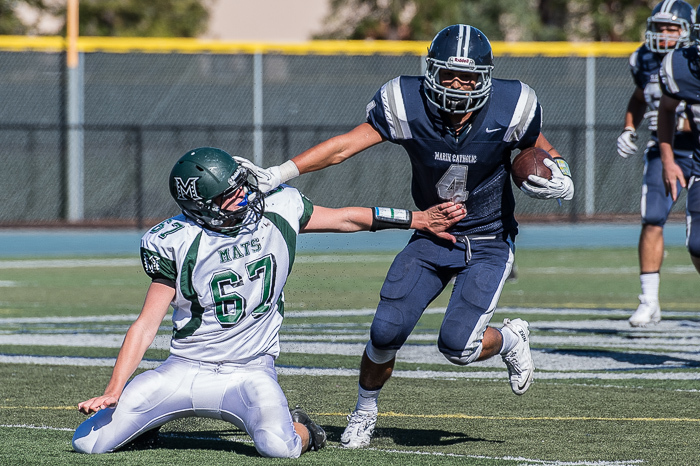 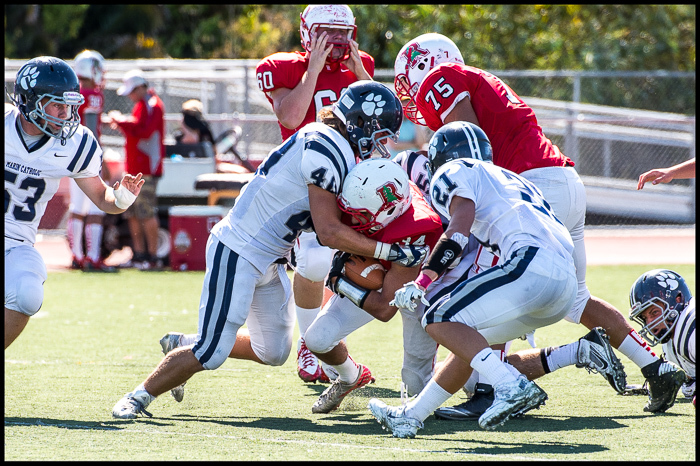 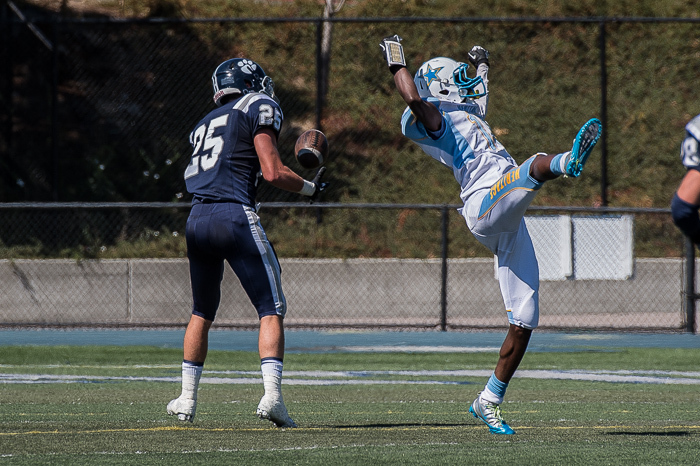 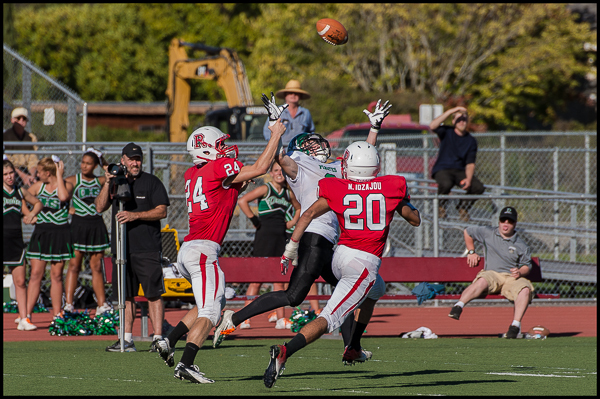 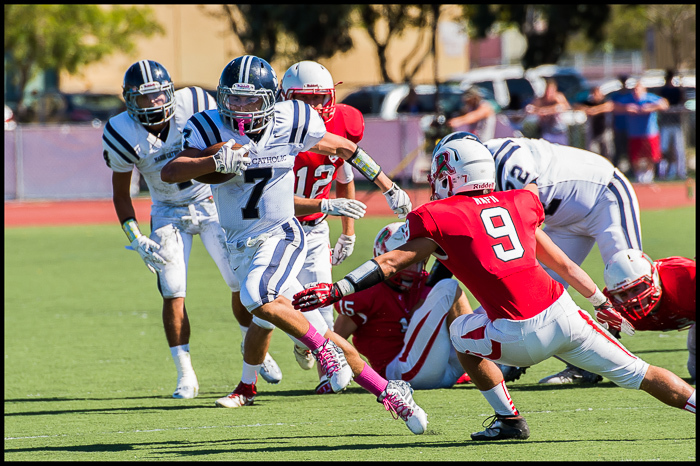 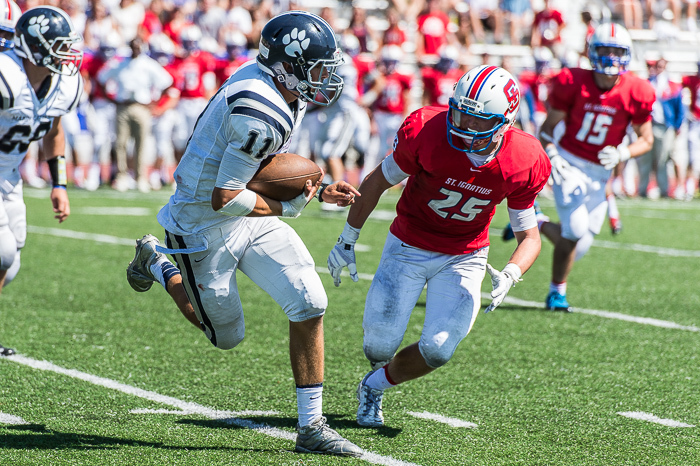 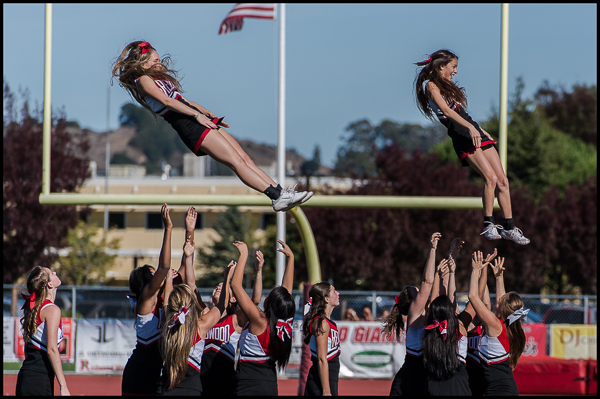 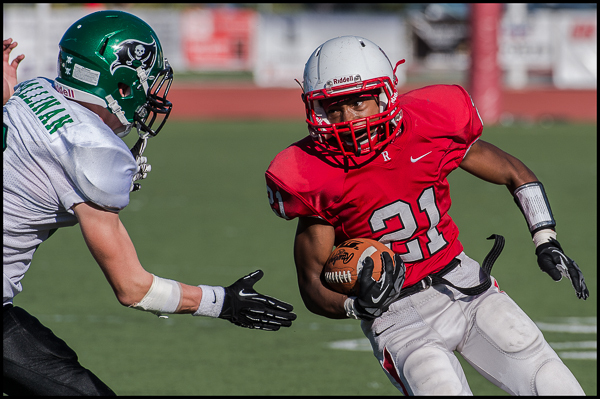 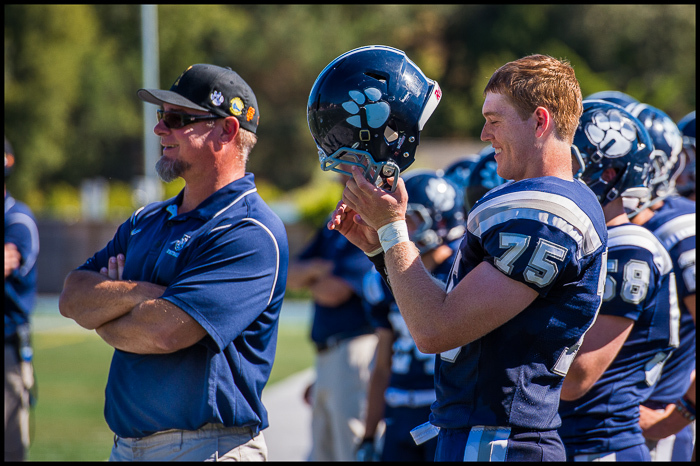 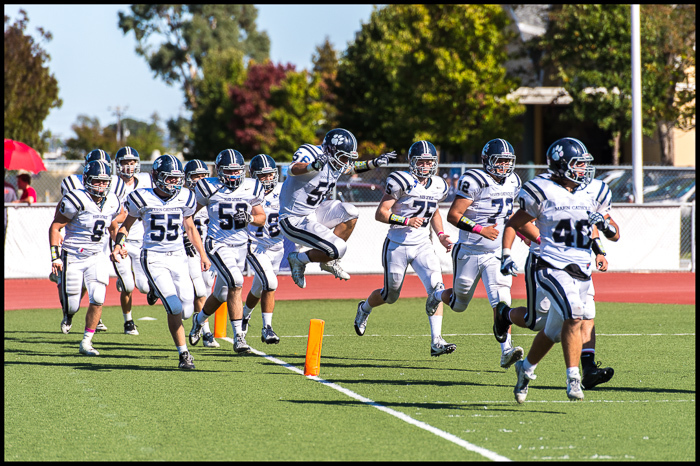 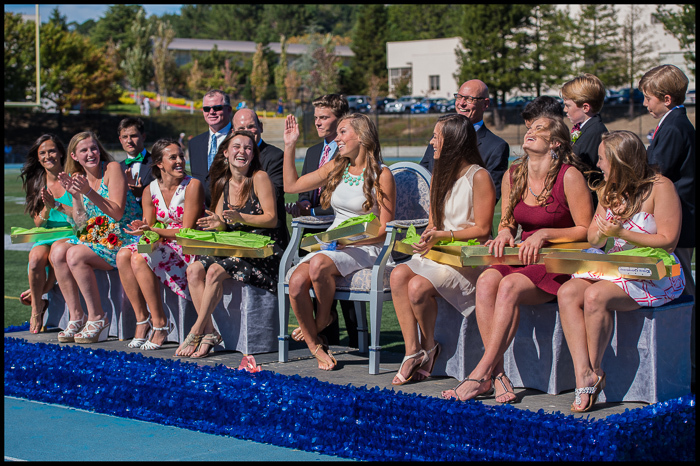 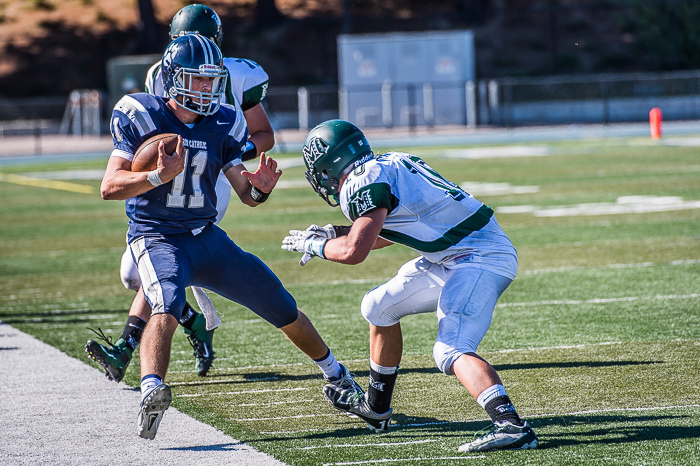 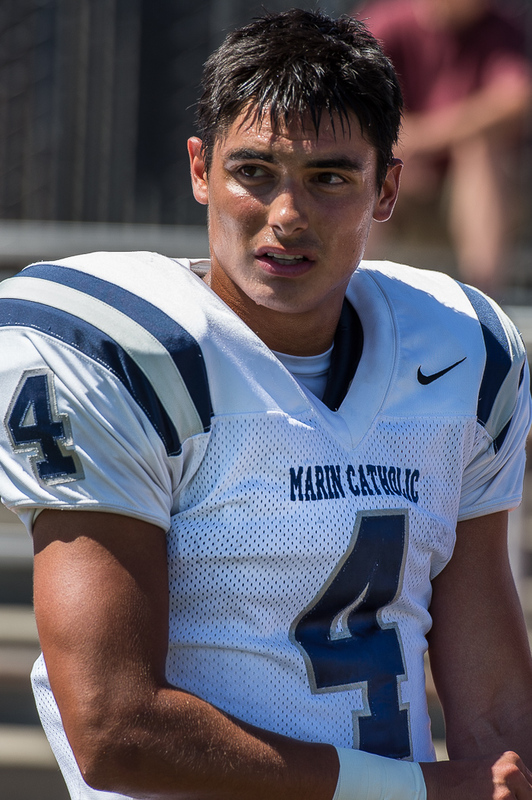 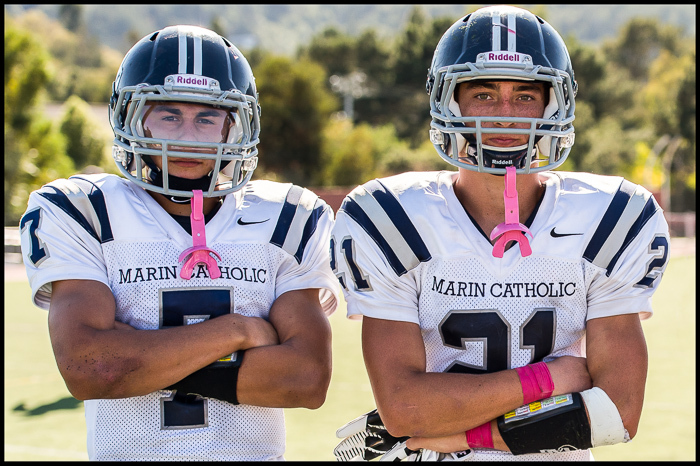 Bill Schneider, CEO and co-founder of VarsityPix, has completely revised his site, making it easy to find new Marin Catholic photos each week. 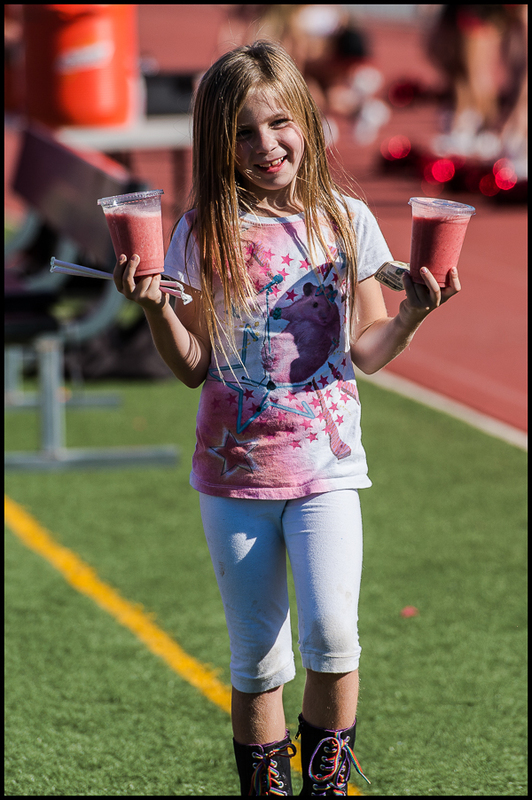 Bill will also be photographing the games, so parents and students will have an unusually rich selection of images to view and buy. 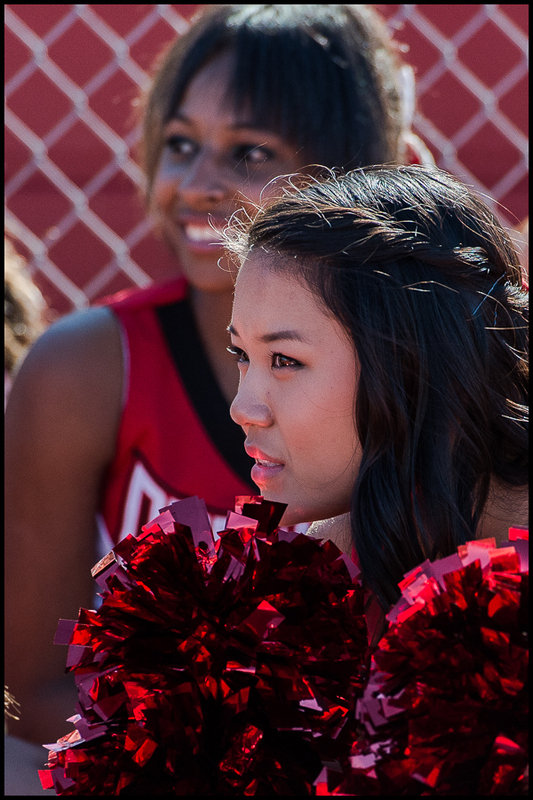 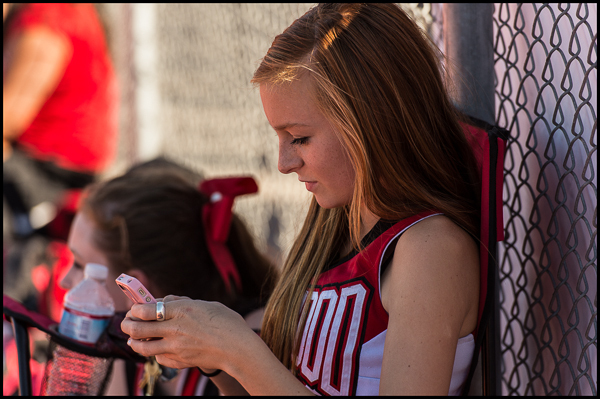 Those of you who played sports in high school – wouldn’t you love to have a collection of photos from those bygone days? 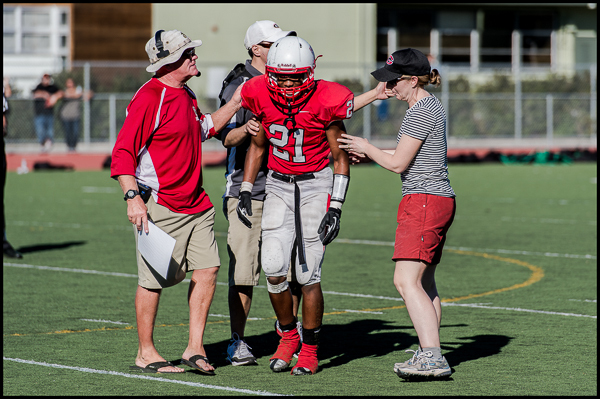 Future grandchildren of today’s players will certainly enjoy seeing what they’re grandparents looked like as high school athletes. 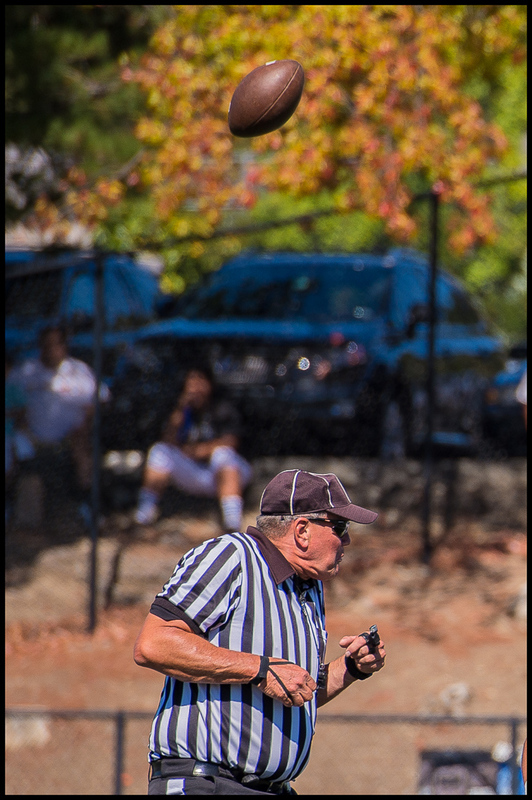 Bill’s site makes this possible. 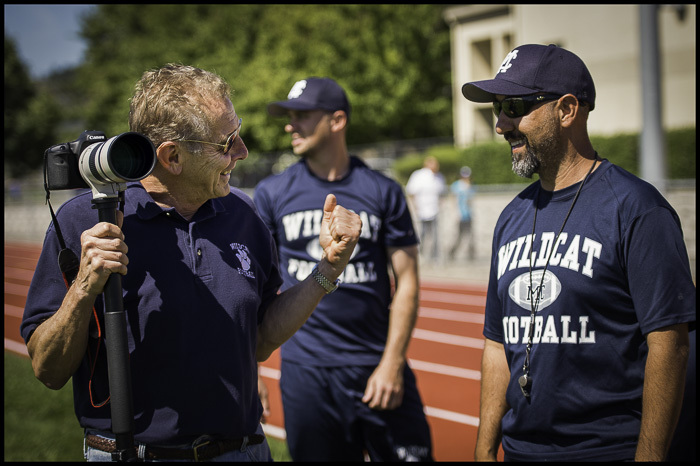 Bill Schneider, VarsityPix CEO, greets Marin Catholic head coach Mazi Moayet at scrimmage with Cardinal Newman High School. 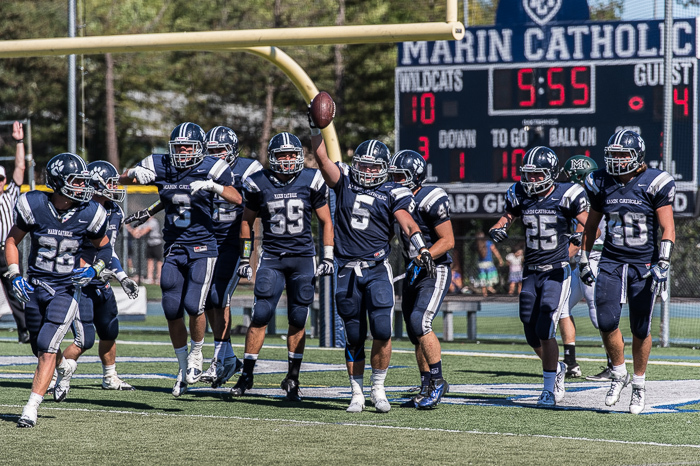 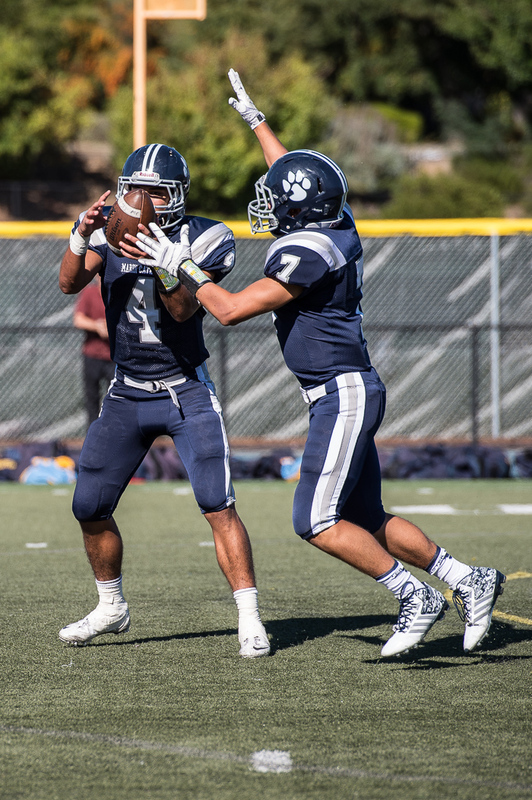 Marin Catholic’s Wildcats came close to winning the California Division III state championship last year, falling to Madison 38–35. 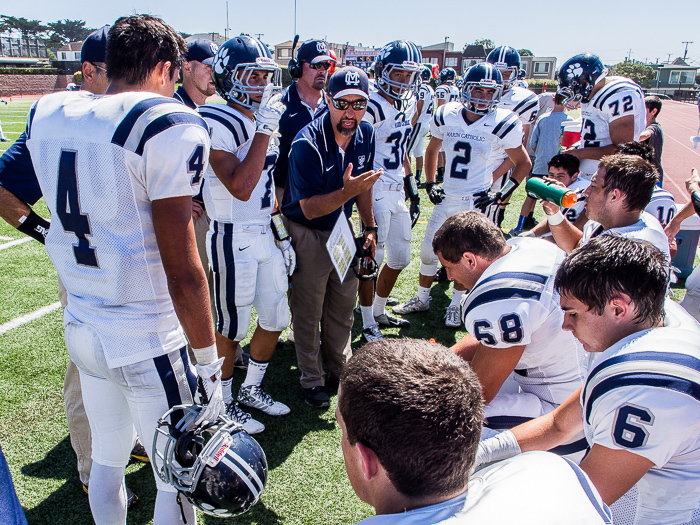 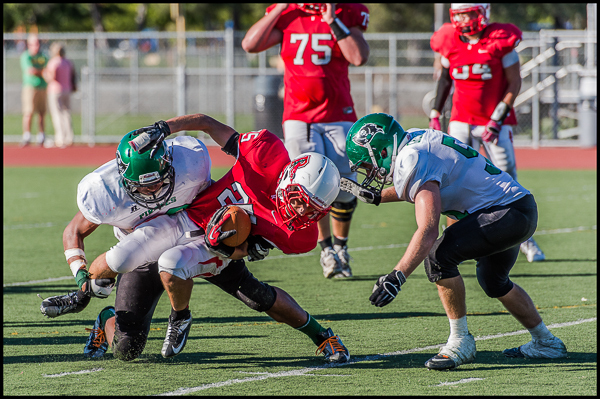 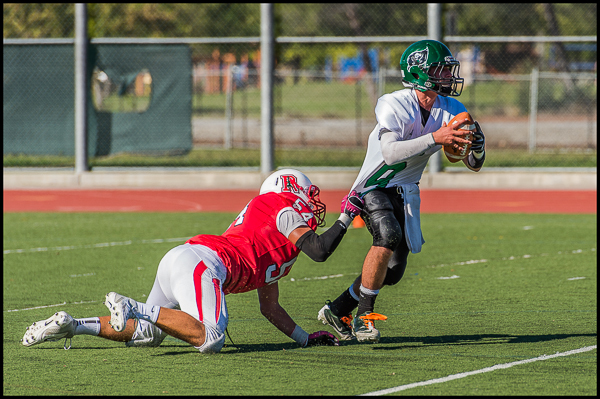 Under head coach Mazi Moayed, the team is expected to have another great year, so stay tuned.